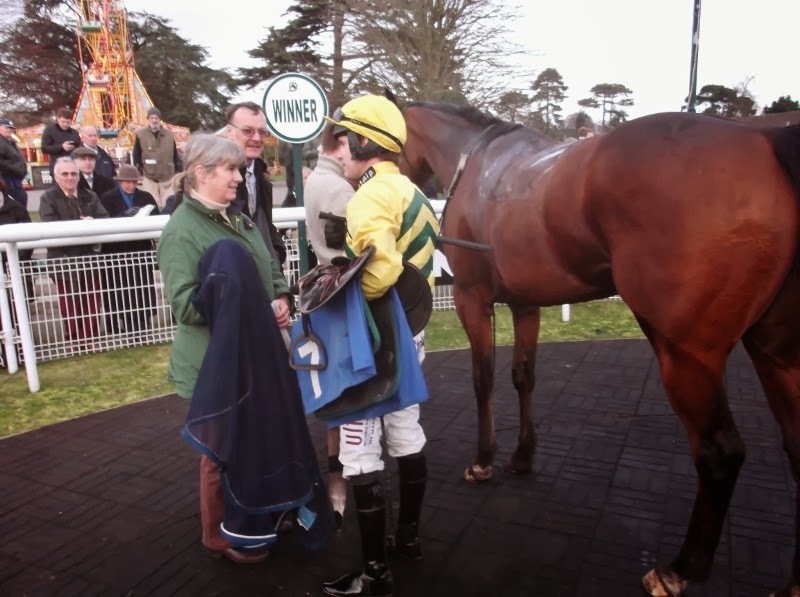 Linda created a little bit of history at Fontwell (23/2/2014) when she achieved her first ever double on one card, and in both cases it was the yellow and green silks carried by the two Valence Racing syndicates that crossed the line in first place. 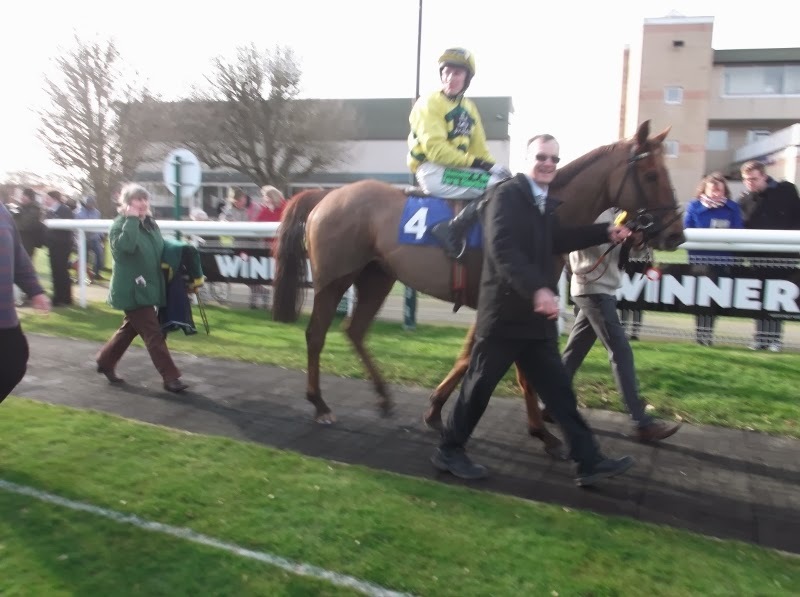 Itoldyou (Valence Racing Too) ran in a 2 mile 6 furlong handicap chase ridden by Tom Cannon. He was dropped in at the back early and apart from an untidy leap at the third fence he jumped well. He was moved up going out on the final circuit and pursued the long time leader who was well clear and looked the likely winner. 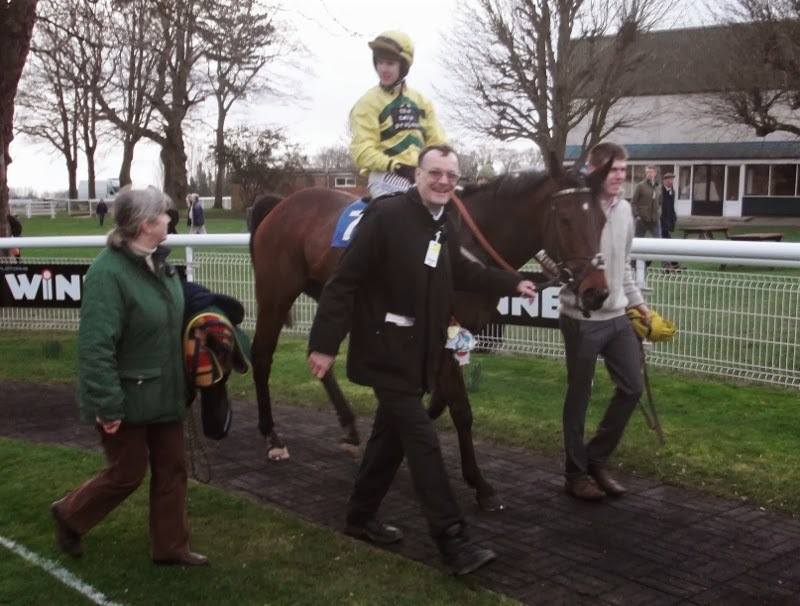 However Itoldyou enjoys being held up for a strong finish and his proven stamina in the testing ground saw him make inroads on the leader rounding the bottom turn and by the last fence he was upsides. Another great jump put him into the lead and he quickly pulled clear to record a well earned victory, much to the delight of his connections. 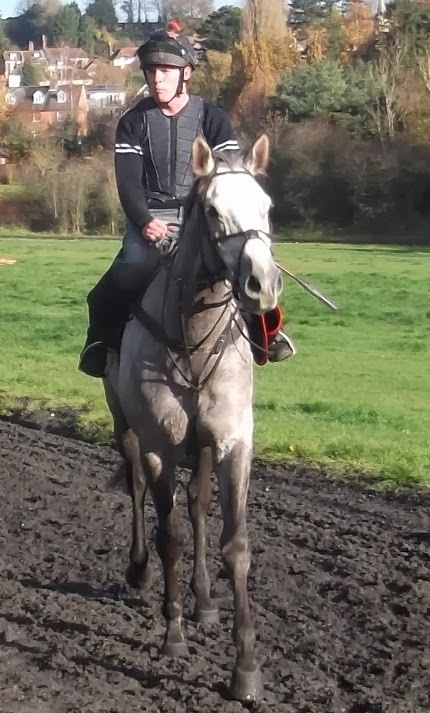 Later in the afternoon Clonusker (Valence Racing) ran in a handicap hurdle over 2 miles 2 and a half furlongs. 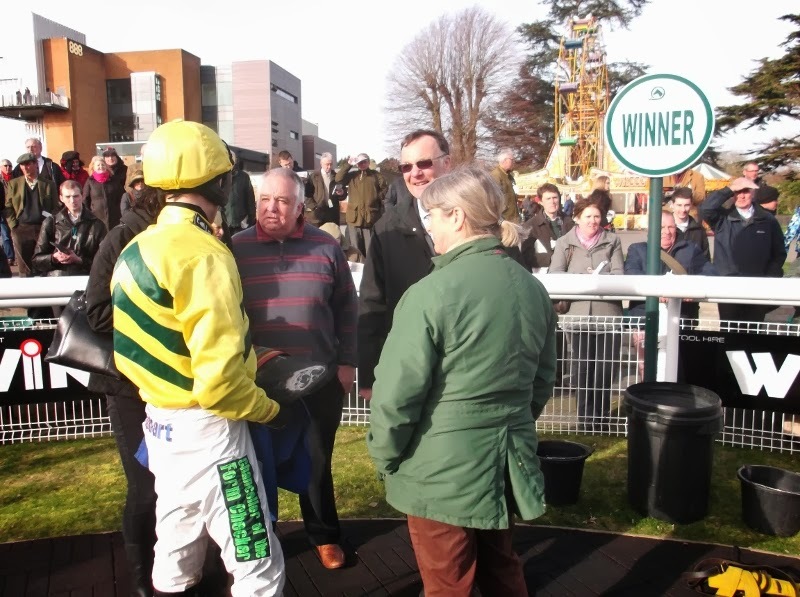 He had gone up a stone following his Plumpton victory in January and the extra couple of furlongs to be tackled was a concern. Clonusker needs to run in a totally different way to Itoldyou and jockey Gerard Tumelty got it just right. Clonusker was ridden prominently and went into a clear lead on the back straight of the final circuit. 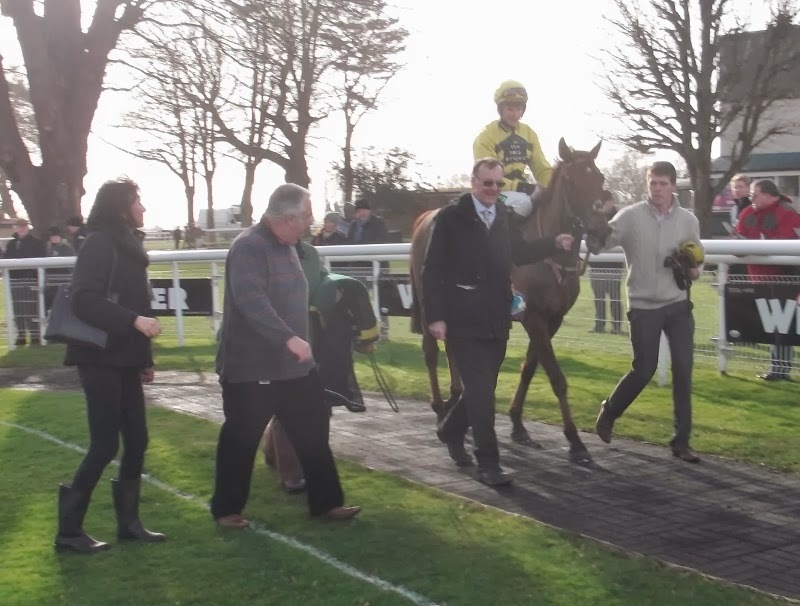 He was allowed a small breather going into the final bend then went 6 lengths clear entering the home straight A tired jump at the last sent out worrying signals as those extra couple of furlongs began to take their toll. However he rallied and ran on in the final 50 metres as the chasing horse closed in. 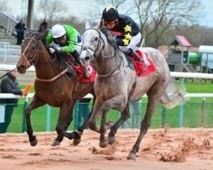 Kingscombe won for the third time on the fibresand at Southwell today (18/2/2014). Ridden by Robert Havlin, he tucked into the middle of the seven runner field early on. He was niggled round the first bend and moved to the outside, avoiding the kickback, in fifth place. He was only a length down entering the final bend and entered the straight as one of four with a chance. He took the lead a furlong and a half out but seemed to be headed as they passed the one pole. He battled back to the lead and looked strong at the line, winning at odds of 14/1. Strategic Action ran a good race today (13/2/2014) over 6 furlongs at Kempton Park. Under Robert Havlin he raced prominently in third place until asked for an effort 2 furlongs out. He moved into second and kept on, closing the gap on the leader, and was only a neck down at the line.